Drawing on his experience from forty years running many Canadian health care institutions, David Levine shares his expertise on management in this very complex environment. His career includes implementing one of the first Local Community Health Centres (CLSCs) in Montreal in the 1970s, involvement in electoral politics, managing various Québec hospitals, his controversial hiring as Head of the Ottawa Hospital, a term as Québec Delegate General in New York City, a stint as Junior Minister of Health in Québec, and running the Montreal regional health authority under both Parti-Québécois and Liberal governments. 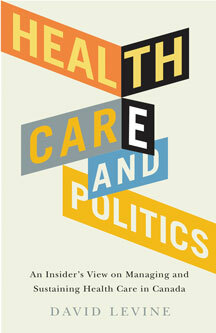 His experience with politics—both personal and professional—is the basis of his analysis of the impact of politics on health care. Levine supports without qualification a Public, Universal Health Care System, but he questions the effectiveness of managing the system from the Minister’s Office. Poor decision-making on the basis of politics often means best solutions are not implemented. Levine’s analysis includes what is not working and how to fix it, and the barriers to implementation. Health Care and Politics will be of interest to health care managers, health care policy makers, and all Canadians seeking a better understanding of the health care system and what it will take to fix it. David Levine was CEO of a number of hospitals, including Montreal’s Notre-Dame, and the Ottawa Hospital. He served as Quebec junior minister of health and then headed the Montreal Health and Social Service Agency for ten years. He is Adjunct Professor in the Faculty of Medicine at McGill University and Associate Professor in the Faculty of Public Health at the Université de Montréal. He lives in Montreal.